Great teams all have one thing in common, trust. Trust is so critical in making a team great, instead of just good. Trust is the foundational trait or the fibers of the relationships that we form. Relationships are what drive our individual productivity and progressively the overall teams engagement level. Trust is cultivated in relationships. You have more than likely heard the phrase “trust is earned”. I personally do not believe this gives clarity to the fact that trust is a two-way transaction, not a one way value transfer implied by that statement. This is where many teams face challenges and ultimately end up as merely good teams. Another often encountered experience is management establishing trust in an individual without reciprocating the building of trust by the individual back to management. In consideration of a traditional office setting, trust in an employee is often achieved by witnessing physical presence. There is certainly additional criteria, but that is the baseline assessment that carries significant weight. One of the greatest fears in managing remote teams is the inability to witness the physical presence of the employee. 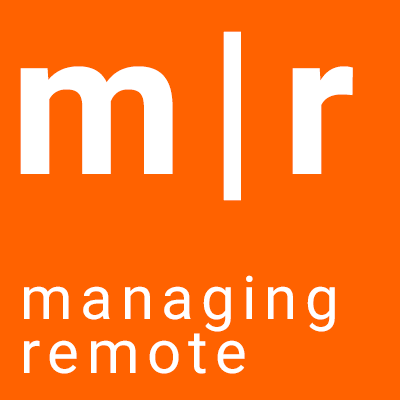 There is an inherent greater level of trust that must be placed in an employee of a remote team, and likewise reciprocated with the employee placing in the employer. 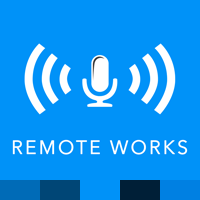 For remote teams to achieve engagement, this trust must be bidirectional. Listening – The chosen action of deliberately avoiding distraction and focus on comprehension of what an individual is expressing. Cooperation – The commitment by both parties for achieving unity through the process of compromise. Respect – A foundational assumption that what an individual is expressing is out of best intentions and is authentic. It is also the commitment to sharing honestly with the other individual. Honesty – Being truthful about motives, intentions, actions and emotions. Integrity – Resolve to follow through of stated commitments. Sharing of & shared experiences – This is where an individual’s personality is exhibited and a deeper relationship is formed. 4. Trust – The sum of the commitment, unity, understanding and clarity two individuals exchange between themselves. Great teams have the common attribute of strong trust as the result of their relationships. Great remote teams also share the common attribute of strong trust. Carry this forward today by listening with focus in your interactions and conversations today. Avoid distractions, and first seek to comprehend what an individual is expressing. What is one of the greatest achievements you participated in with a team? Was it when you were part of a remote team or a traditional team?